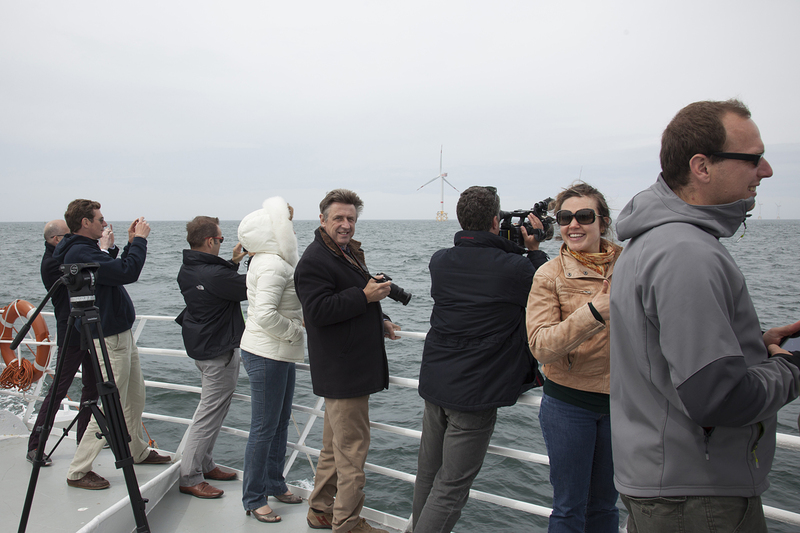 Of the 200 events worldwide for Global Wind Day 2013, some were organised close enough to Brussels that European Wind Energy Association staff were able to visit. The wind farm WaseWind, close to Antwerp was one such location. 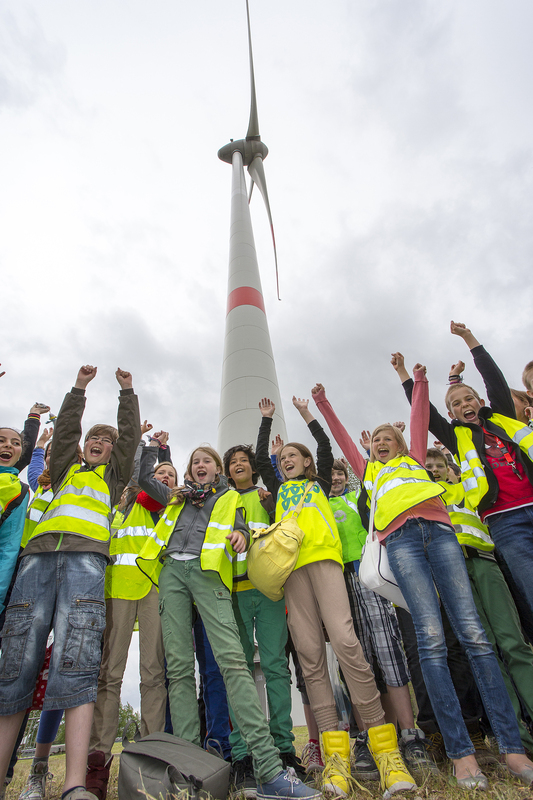 There they met hordes of local school kids and their teachers, who had cycled there to inspect the turbines for themselves. 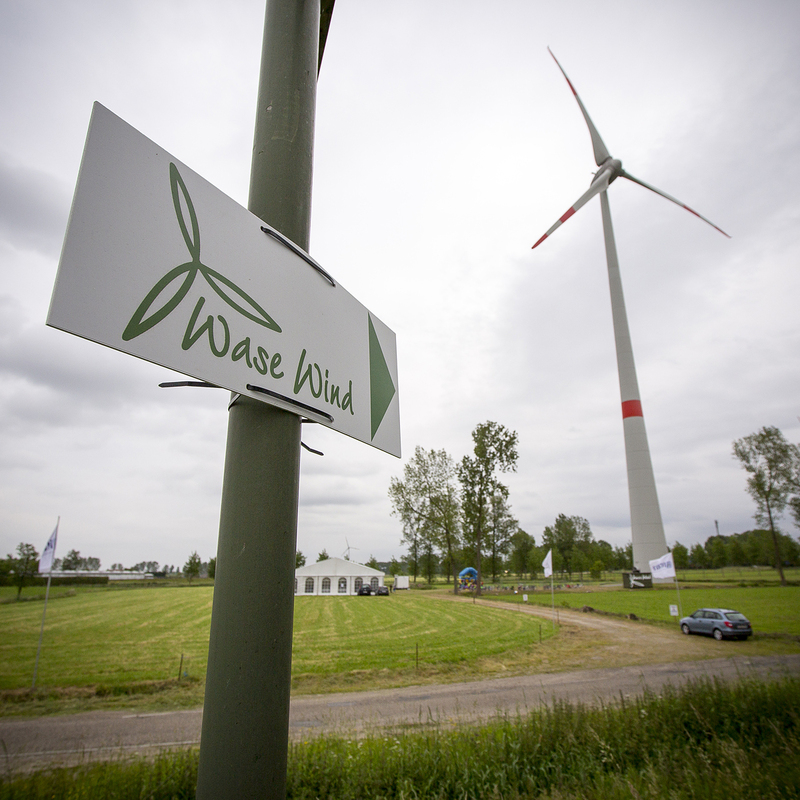 WaseWind’s motto is ‘Samen WaseWind oogsten’ which means ‘harvesting the wind together in the Wase region’. 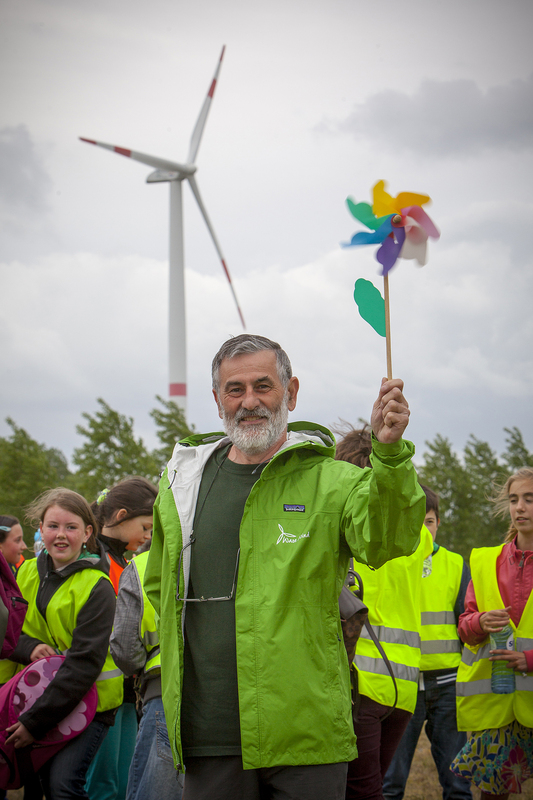 That motto shapes the company’s structure and daily work as a cooperative wind farm: only local citizens can buy shares, and only as many as they need for their own supply. Christa Schaut from WaseWind explained that currently, over 1,600 people in the region own shares – and profit from them with lower bills on electricity. 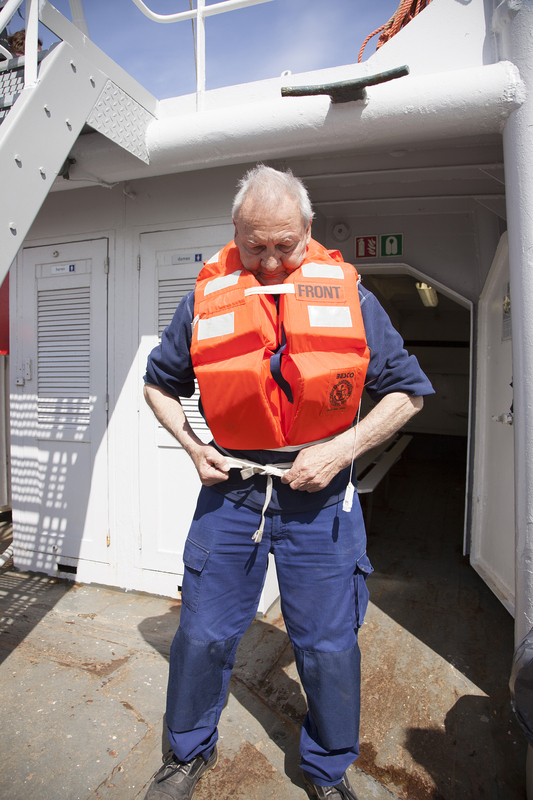 A small group started off the project in 2002, managing to get all necessary permits for construction starting in 2005. Since then, WaseWind has expanded several times, always triggering a lot of interest in shares. 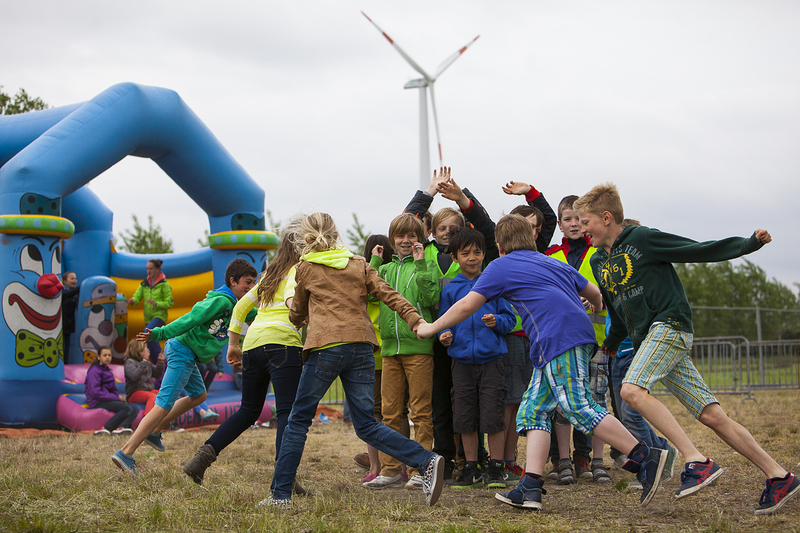 WaseWind staff organise regularly opportunities for local citizens to visit: every year, around 2,000 visitors come to the wind farm or to information events. 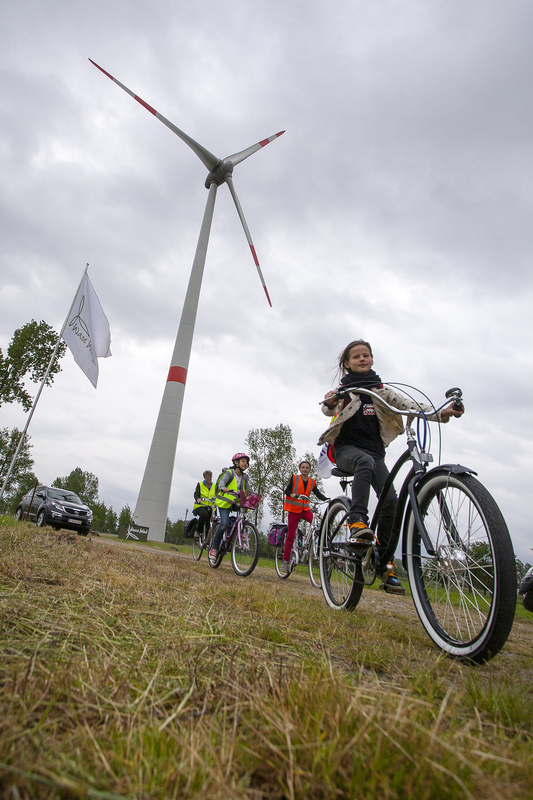 During this year’s Global Wind Day, hundreds of local school kids came to the wind farm on their bikes to learn about wind energy and how the technology works. 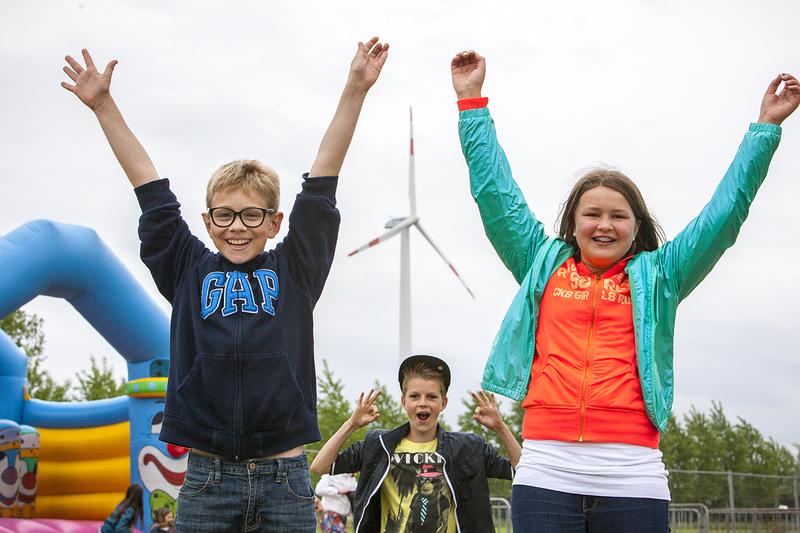 Arne (11) and Laura (12) said they were impressed with the size of the turbines and that they thought they ‘looked cool’. They then ran off to participate in a game pretending to be electrons that one of the voluntary guides has invented for kids to play. 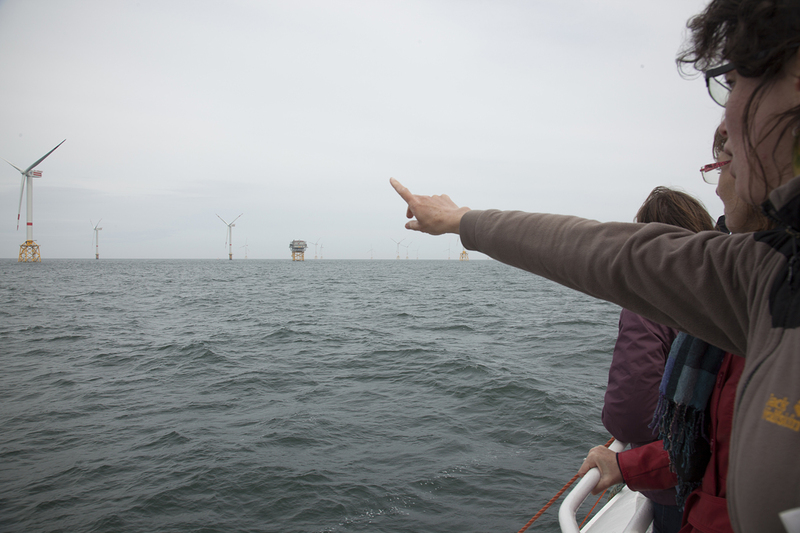 EWEA also visited the Thornton Bank offshore wind farm off the coast of Belgium. 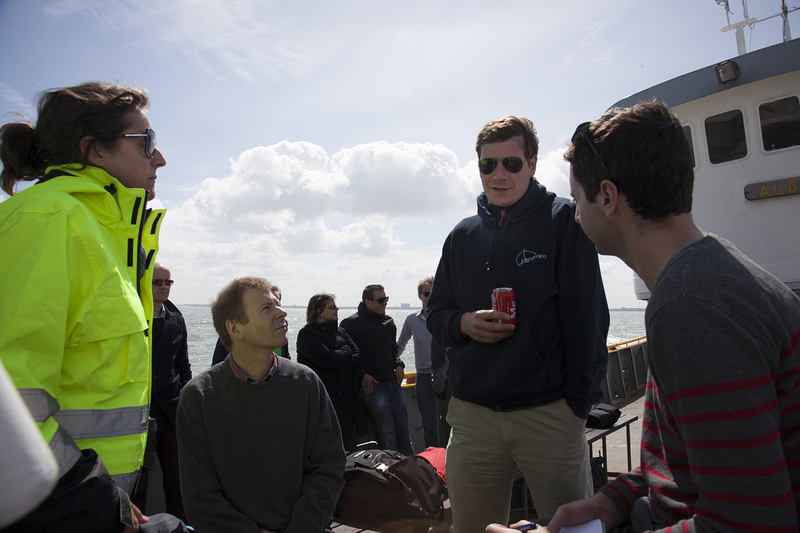 Thornton Bank is reached by taking a boat 28km out from the port of Oostend, on the coast of Belgium. 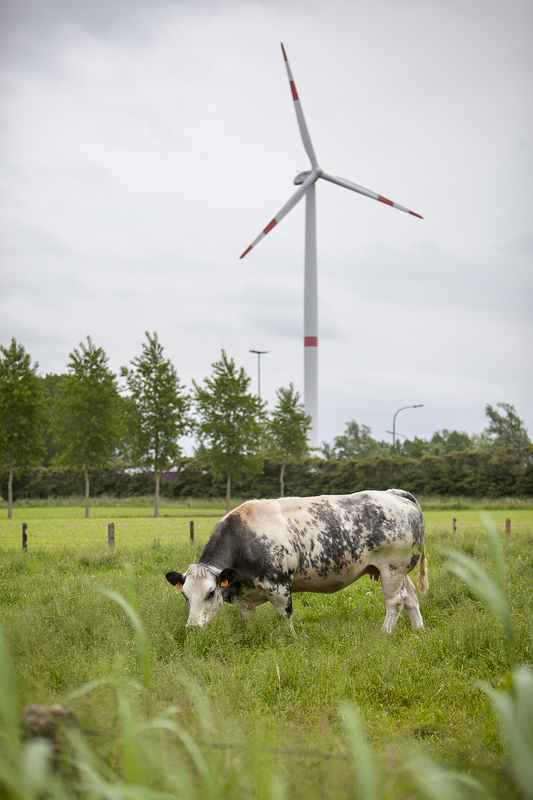 The first turbine was installed in 2009, and development since then has been impressive. The array of turbines has now reached 48, with a further 6 planned. This will bring the installed capacity to 325MW of power, generating 1000,000,000 kilowatt hours of electricity annually, enough for the annual consumption of 600,000 people. This will avoid CO2 emissions of 450,000 tonnes per year, the same as growing a forest of 90,000 hectares! 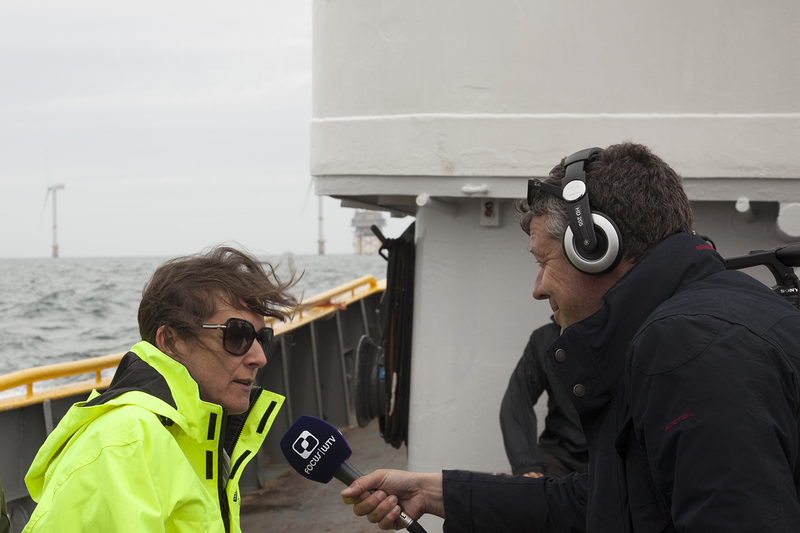 Annemie Vermeylen of C-Power, a project company instrumental in the development of this farm, told us the history of Thornton Bank, which went through a long planning stage before it became Belgium’s first offshore wind farm. 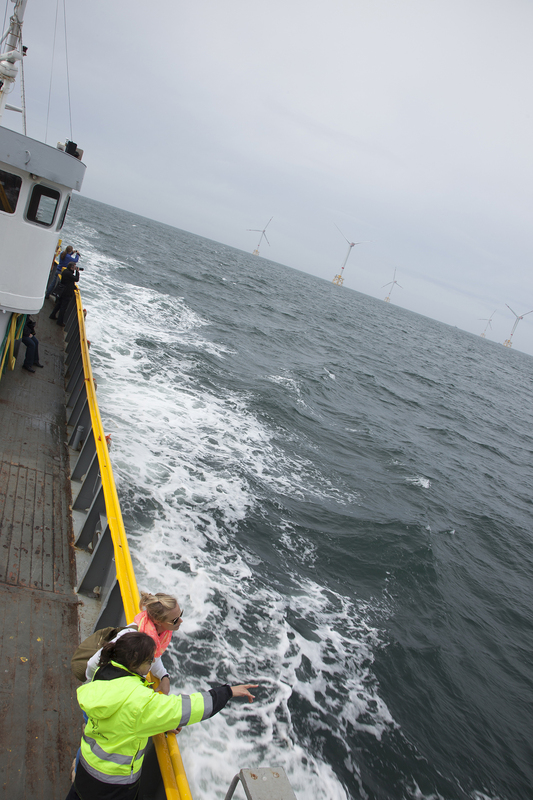 As we chugged out of Oostend Port onboard The Albatross, she spoke of the Danish expertise in offshore wind energy that was used to install the initial REPower 5 MW turbines on the site. 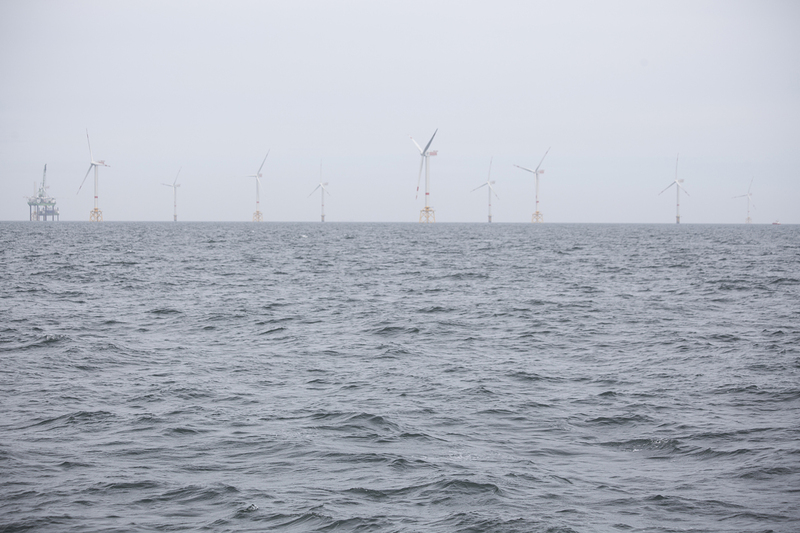 The foundations for the turbines are a mix of gravity base and jacket foundation – the more recent being of the jacket type. 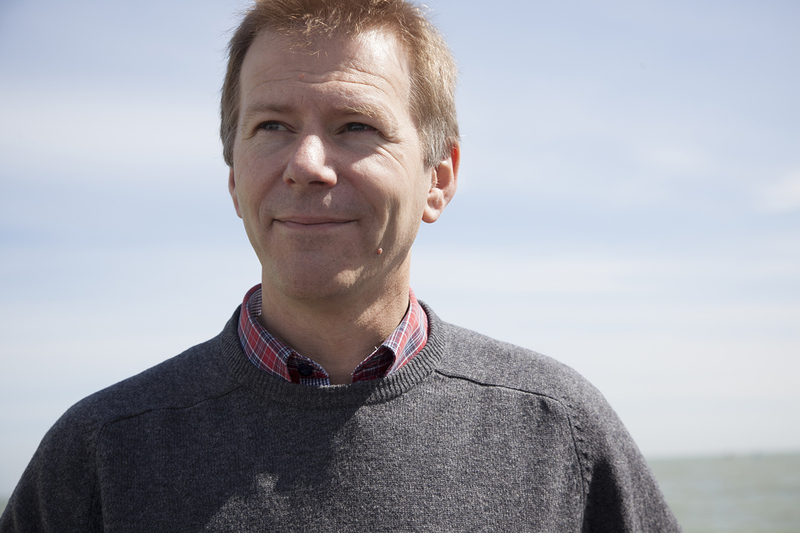 See this link for more details about Thornton Bank. Asked about the costs of offshore wind energy, Annemie says that this is one of the most common questions she receives now, whereas in the past it was all about planning and location of the wind farms. 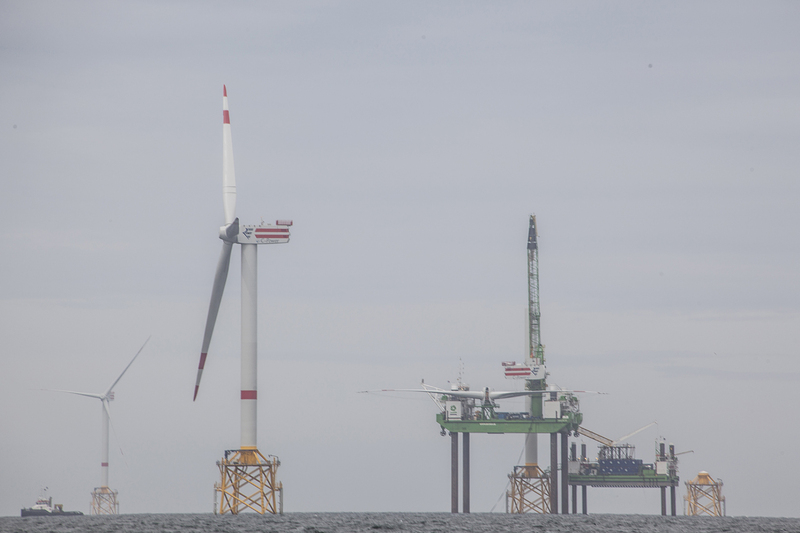 She says it costs about €4m per MW of offshore wind, and that there has not yet been a reduction in cost as offshore wind is “still in the R&D stage”. 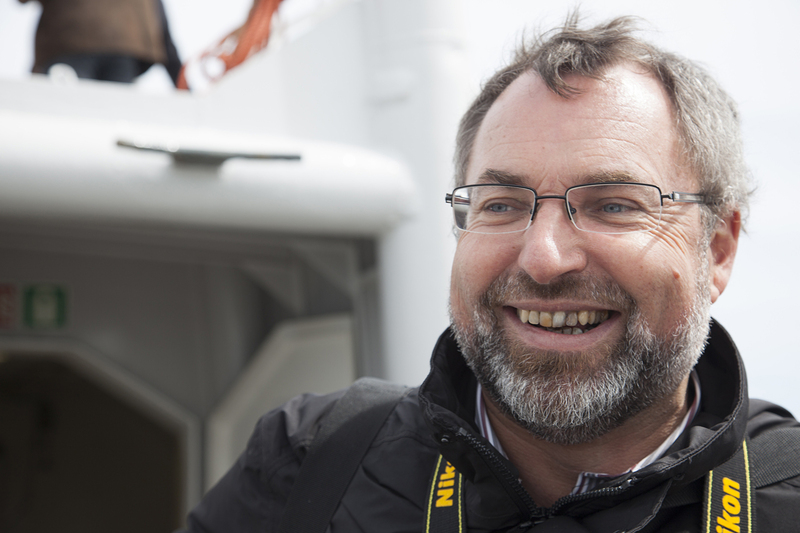 Also on board is Chris Derde of the Flemish Wind Energy Association, who agrees – he says “you cannot try everything in a lab – you must build to learn”. 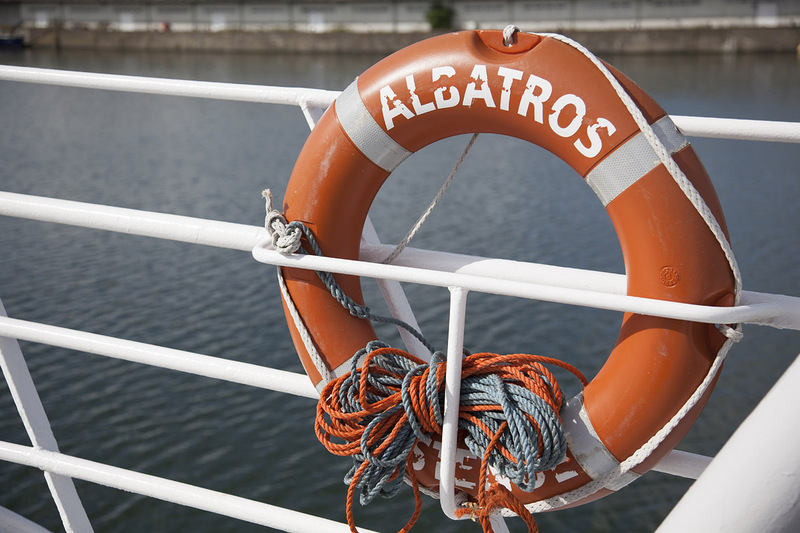 The Department of Energy and Climate Change in the UK has estimated that there will be a 10% reduction in costs of offshore by 2015, but it is still an infant industry.